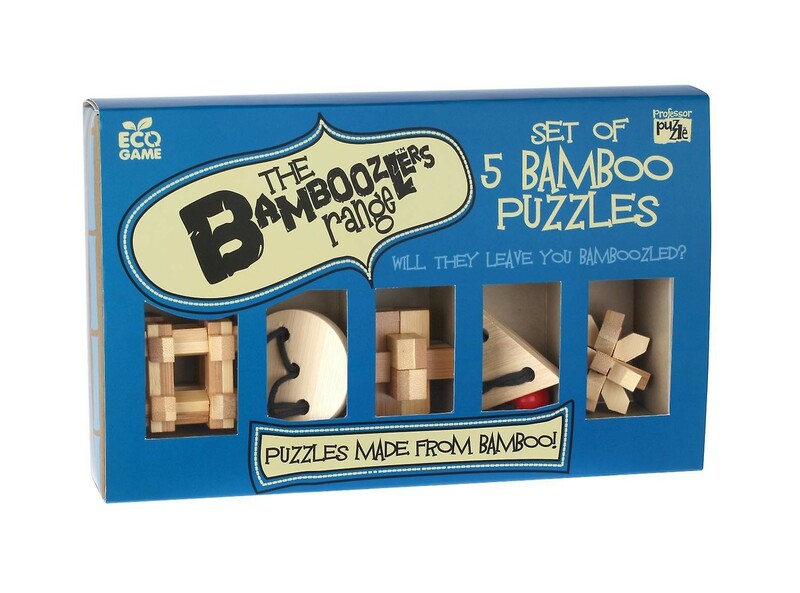 This product from ChessBaron: Ready to be bamboozled? 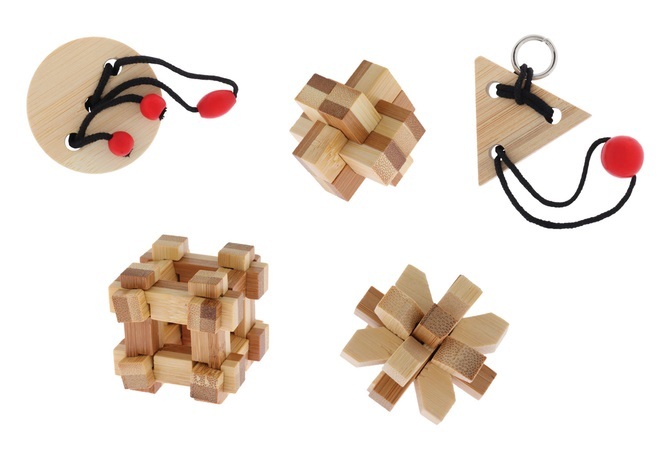 Set of five wooden puzzles set in an attractive box, perfect for a gift. 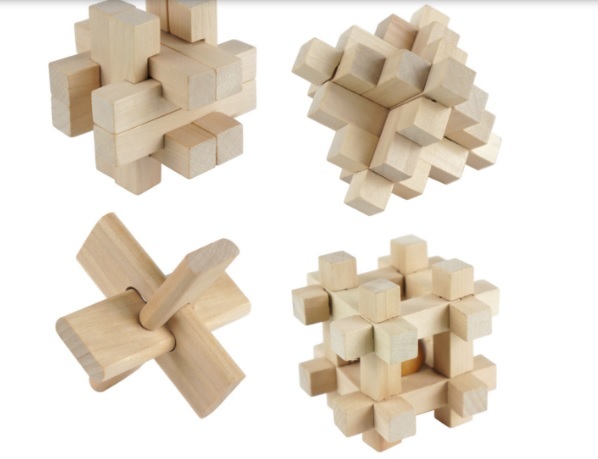 The odd thing about these wooden puzzles is that they immediately attract attention. As soon as they are seen, people are drawn to them to test their mind strength.